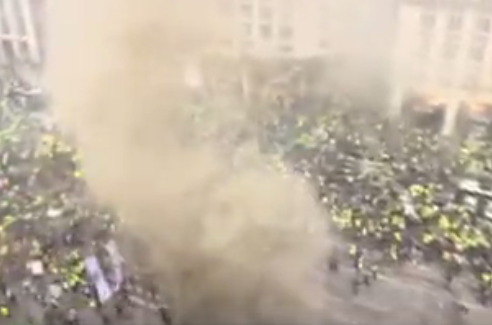 France’s government has admitted that it had failed to put in place security measures that would be adequate enough to prevent “black bloc” anarchists from spurring violence during Saturday’s Yellow Vests’ movement protest in Paris. The 18th week of Yellow Vest rallies saw a spike in violence at key Paris landmarks such as the Champs-Elysees avenue and the Arc de Triomphe, including looting and tossing of stones at the riot police by masked demonstrators. About 80 shops and other venues were vandalized in downtown Paris on Saturday as the riot police was overwhelmed for some time by the black-clad anarchists. These include Fouquet’s brasserie, a favourite hangout of the rich and famous for the past century, luxury handbag store Longchamp, and clothing outlets Hugo Boss, Lacoste and Celio as well as a bank, a chocolatier and several newsstands. French Prime Minister Edouard Philippe admitted on Sunday the security flaws that permitted the escalation of violence during the Yellow Vests’ protest. “The measures taken were insufficient to contain the violence and prevent wrongdoing [the rioters]”, Philippe office said, as cited by AFP and France24, as the Prime Minister was due to meet with French President Emmanuel Macron on Monday morning. Macron himself returned to Paris urgently from a skiing trip in the Alps because of the upswing in protester violence now blamed on black bloc anarchists. Some 200 people, including 15 minors, were arrested during Saturday’s skirmishes in Paris, according to a judicial source. 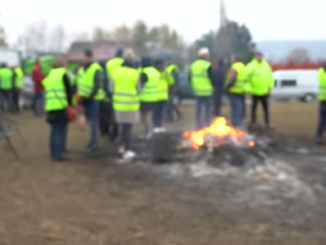 Representatives of the Yellow Vest movement on Sunday accused the French government of failing to keep the black bloc from marring their legitimate protest, and urged Interior Minister Christophe Castaner to resign. 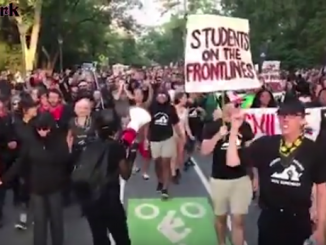 About 200 Antifa protesters displayed anger at the one-year anniversary of the ‘Unite the Right’ rally in Charlottesville, even though no members of the far-right attended. The leftist domestic terrorists assaulted an NBC news crew and beat a police officer. The protesters lunged at the media for filming the march and they screamed at police for wearing riot gear.